Corporate world is so demanding, getting into a business, making contacts, making people familiar with it, building trust, dealing criticism, taking feedback, improving and expanding, hence anything and everything about an enterprise/merchandise or a business means a lot. It is never a one man’s show, you need an entire army to help you laying the foundation of a firm/organization. You can do one thing or multiple but it takes two to tango. Once you are launched, the next step is to meet and greet people with your stuff. It maybe your business card, some stationery (mug, notebook, pen, keychain/key-ring etc.) on which (your logo) is embossed. It is a way to make people aware ‘who you are’, ‘what you do’, ‘where you stand’, ‘what’s your stance’, ‘how you carry along your perspective’, ‘all this and all that’ about you. I have been helping the learners and designers to get the freebies for my blog, just in case if you are lacking time and are too much indulged on your workplace. Take this chance to avail the free mockups. They are necessary to make a presentation look smarter, stunning and vocal. 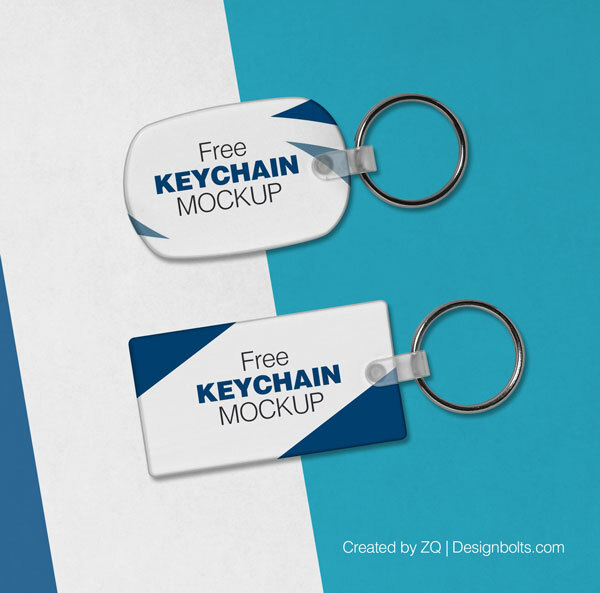 Hereby attached are the 2 free Key chains / key ring mock-ups. You can insert in your own design element and put forward straight away to your client in order to make him know how his keychain will look like in real tangible form. Mockups are paramount to build a good and positive professional stance about yourself in front of your client, though he will ask you for changes as per his requirements but at least it is a way to give him the right idea about his designed stationery. We get across different clients and different mindsets, so tackling them is the real job. Do give us a look and subscribe us for more freebies in future as well. You words of encouragement are all that motivate us and energize us to the core.